When you sign up, you'll stay in the Good Shepherd loop and receive news about worship, outreach, seasonal events, learning opportunities, church fundraisers and much more! Join our mailing list by typing your name and e-mail address into the boxes below. We respect your privacy and we will not share your e-mail address with anyone else. Thank you! You have signed up successfully! to serve the community in rich and meaningful ways. In everything we do, we strive to make the world a better, more joy-filled and justice-filled place. 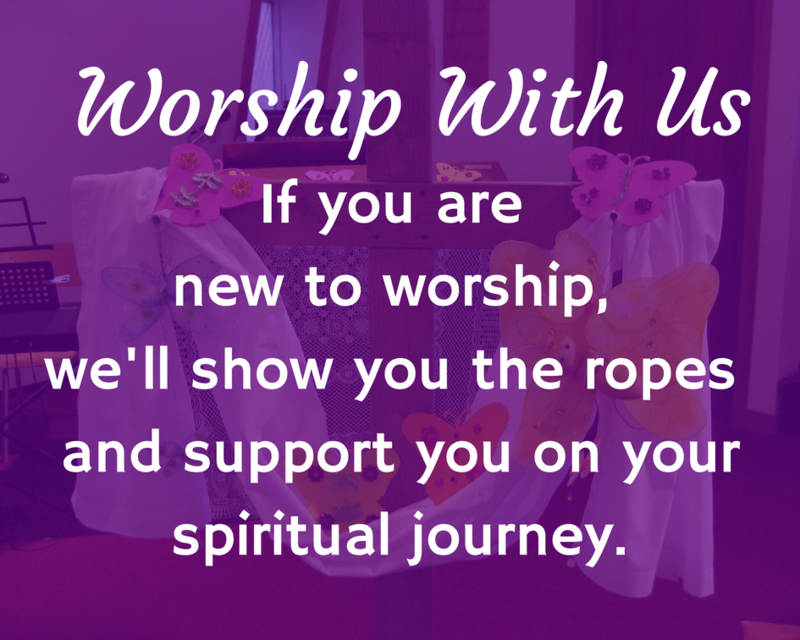 We warmly welcome newcomers and will provide you with what you need to have a wonderful worship and fellowship experience! and to learn how each one of us can serve the world and make it a better place. We hope and pray that you will join us! Starved to Experience God & the Church in New and Exciting Ways? Do You Have Questions About God & Christianity That You'd Like to Explore?